My name is Eric Knight. 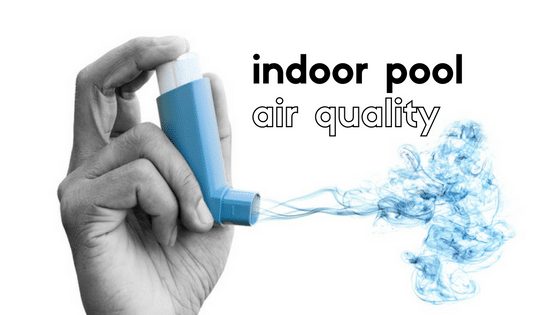 I was asked by Orenda Technologies to write about indoor pool air quality (IAQ). Not only because it directly affects the health of pool users and staff (water health is the main reason Orenda exists in the first place); but because poor indoor air quality is deeply personal to me, as I was a swimmer who developed asthma from it. I believe the aquatics and air industries have a moral obligation to provide healthy water and air to all pool users. My opinions are mine, and mine alone. They do not necessarily represent those of Orenda, Paddock, or any other companies that I mention in this two-part article. The CDC got involved with indoor pool air quality, and developed the Model Aquatic Health Code. Indoor ventilation was one of the focus points. Indoor air quality (IAQ) in pools has been a big problem for decades, but really burst into the mainstream of the aquatics industry around 2009. Scientists and aquatics experts began weighing in on the topic of IAQ when it became clear that the problem was not going away; it was only getting worse. Soon, the US Centers for Disease Control (CDC) was involved. Then the World Aquatic Health Conference covered the topic. Around the same time, the National Swimming Pool Foundation (NSPF) started talking about it in more earnest. The Model Aquatic Health Code (MAHC) came out with recommendations to double and even triple the ASHRAE code for amount of outdoor air. Meanwhile, there are still many who enjoy swimming on a professional and recreational level and are looking to improve their health through swimming. According to a recent Jen Reviews article, there are many lifestyle benefits to swimming, it would be ideal if the assured air quality was among those benefits to your health and wellness. As understanding of the IAQ problems grew—largely thanks to innovations like Paddock’s Evacuator technology—it became clear that IAQ was not something that could be solved by the aquatics industry alone; help from the HVAC industry was necessary. For this two-part article, I will refer to this new cooperation between the two industries as “the alliance.” Why the alliance? Because before the two industries became allies, they either A) had no relationship whatsoever, or B) blamed each other when inevitable IAQ problems arose. In both situations, pool owners and operators—and more importantly, their patrons—suffered. This article has two parts. Part 1 will explain the two sides of the problem, and in part 2, the solutions. In a nutshell, when IAQ problems arose, aquatics people looked first to their chemical readings and their filtration systems…you know, the things they could control. If/when everything was properly balanced and maintained, the blame of IAQ problems got pushed to the air industry (HVAC service techs, mechanical engineers, etc.). After all, if the chemistry is right and the systems are all operating correctly, it can’t be the aquatics director’s problem, right? Lifeguards are complaining that they are getting sick. Swim coaches are complaining their kids are coughing up a lung, and their noses and eyes are running. It’s miserable in the pool, and virtually every piece of steel in the room is corroding. The natatorium has an overwhelming “pool smell” that burns the nose, and dries out the throat. After just a few minutes of being in there, you can adapt…but after a while, you take the symptoms of bad indoor air quality home with you. As a pool operator, your reputation is on the line. You check your readings. Then you check them again from a different part of the pool…maybe your water sample was flawed.  But no…your chemistry looks balanced, your filtration system is running fine, and the UV is on. Yet the air quality is still awful. It only gets worse when the entire swim team jumps in and practices for two hours. And let’s not even talk about the big 500+ swimmer meet you have coming up this weekend. You’re doing everything you can to keep combined chlorine under 0.2ppm, and some days you can, some days you can’t. Shocking doesn’t even seem to work anymore, because you’re doing it every week, and backwashing your filters too. Why is the air quality so bad? It must be the HVAC system. So you do what anyone would do: open doors to let in outside air. Sound familiar? It’s more common than you may think. While it is true that the airborne disinfectant byproducts (DBP’s) are coming from your pool, it’s not necessarily the HVAC system that’s failing you. It could be any number of problems. The best thing you can do is continue to do your best, and bring the problem to the attention of the pool owner(s). When new indoor pools are in the design phase, there are several key people on the design team. They all work under the Architect (AE), who assembles their team of engineers: civil, structural, electrical, mechanical, etc., as well as a pool designer/consultant. Since indoor pools are not a very common construction project to these designers, having a pool expert allows them to focus on what they do best. The mechanical engineer (MEP) is the designer of the HVAC system. They answer directly to the AE. Before the alliance, they hardly ever spoke to pool designers, if at all. Their job is to design the mechanical system, its duct layout, and specify what size and type of HVAC system needs to go on the natatorium. They also happen to be doing this for every other room in the facility—so they have their hands full. Typically, they talk to pool dehumidifier sales reps for guidance on the natatorium. It is not uncommon for a mechanical engineer to have never designed a pool before, so they wisely turn to experts for help. Sounds good, right? Before the alliance, not really. You see, dehumidification systems are designed to heat, cool, and dehumidify air. They are not designed to—nor are they capable of—separating “bad air” from “good air”. Furthermore, unlike pool operators (who are working daily to maintain the water), HVAC people typically only service their equipment every few months. They aren’t there every day. They aren’t experiencing the problems first hand like the pool operators are, and they aren’t hearing the complaints until the problems get really bad. the problem could have been solved decades ago. When air quality problems inevitably happened, the HVAC people—service techs, dehumidification manufacturers and their reps, mechanical engineers, etc.—pointed to the pool operators and basically said “fix your water chemistry.” After all, their system was working fine…but it was being rusted and corroded by this toxic air it was circulating. If only the aquatics people would stop their pool from off-gassing this corrosive air, everything would be fine. Of course, pool operators, who had already exhausted all their options, didn’t like that. They were doing the best they could…so they scoffed back at the air people, and the blame game continued. Meanwhile, the 800-pound gorilla in the room was the fact that bad IAQ was harming the health of swimmers, coaches and lifeguards, as well as decaying the building and the equipment in it. 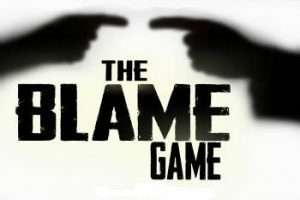 Blaming each other wasn’t stopping it, or even slowing it down. To be continued in How to improve indoor pool air quality (IAQ), part 2.